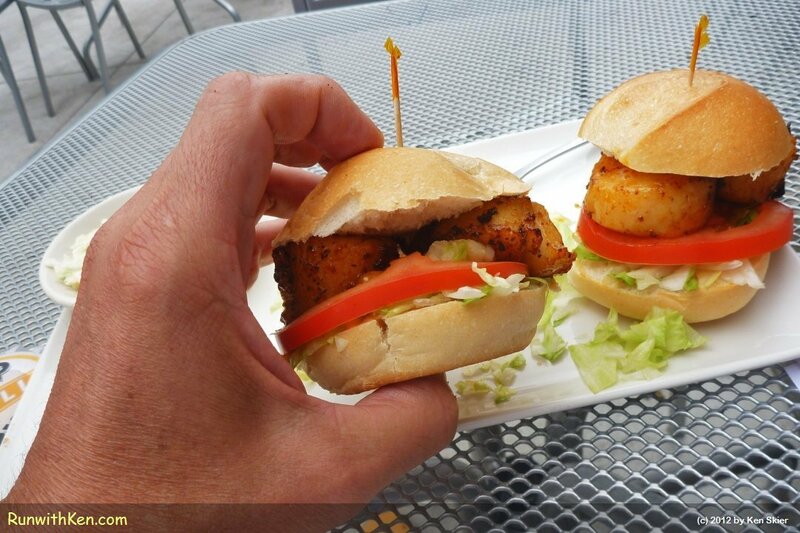 After swimming, cycling, and running a terrific triathlon in Salem, MA...I rewarded myself with these delicious scallop Po' Boys at local brewpub. Ahhhh! Delicious!